“We don’t have to be an adult to make a difference in the world.” 5th grade student, SEA Serve & Learn. Empowering students to take action and recognize the impact that they can make, regardless of their age, can be a powerful character building experience. For the last three years, IPSF has provided the Serve & Learn course as part of the Summer Enrichment Academy (SEA). This class provides students with the opportunity to learn about how they can serve their community, and see the results! 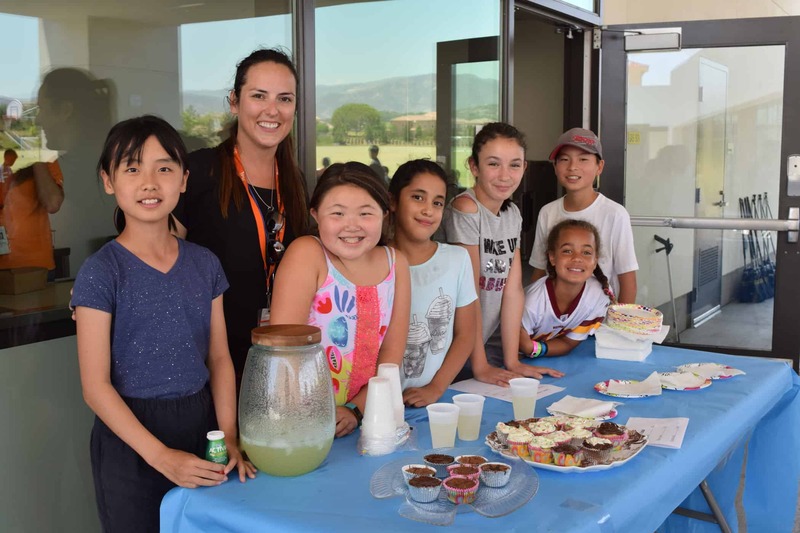 Alison Belzer, instructor of the SEA Serve & Learn program, planned this summer’s course to be student-driven so that they would connect with the projects and causes on a personal level. “My biggest hope is that the students were able to realize that they can make a difference in the world and that it doesn’t matter that they are young or only one person, they can be the spark to ignite future change!” explains Ms. Belzer. Throughout the course, students participated in a number of activities including helping the custodial team by picking up trash after lunchtime and around school, making dog toys and fleece blankets to donate to a local animal shelter, writing letters to the elderly at a local nursing home, and making origami for veterans, military, and first responders. 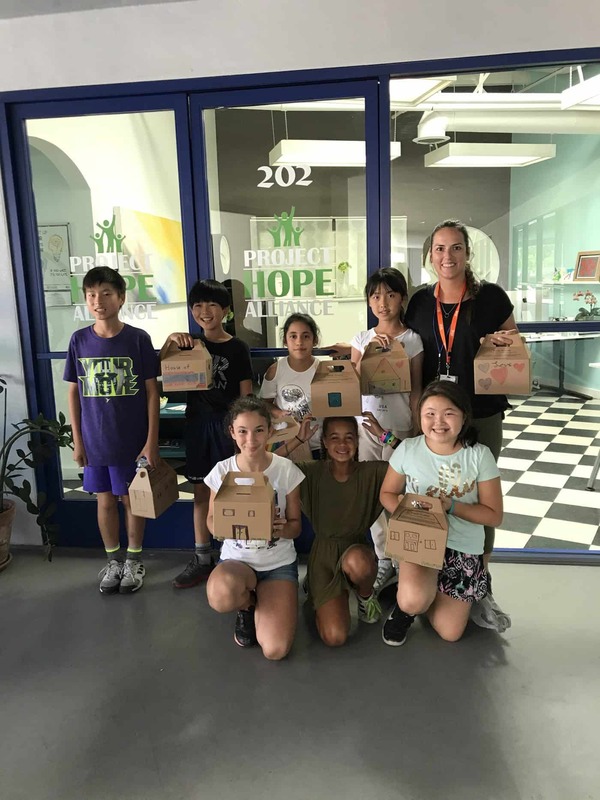 The students also had the opportunity to visit local nonprofit, Project Hope Alliance, to learn about how homelessness affects children in OC public schools. 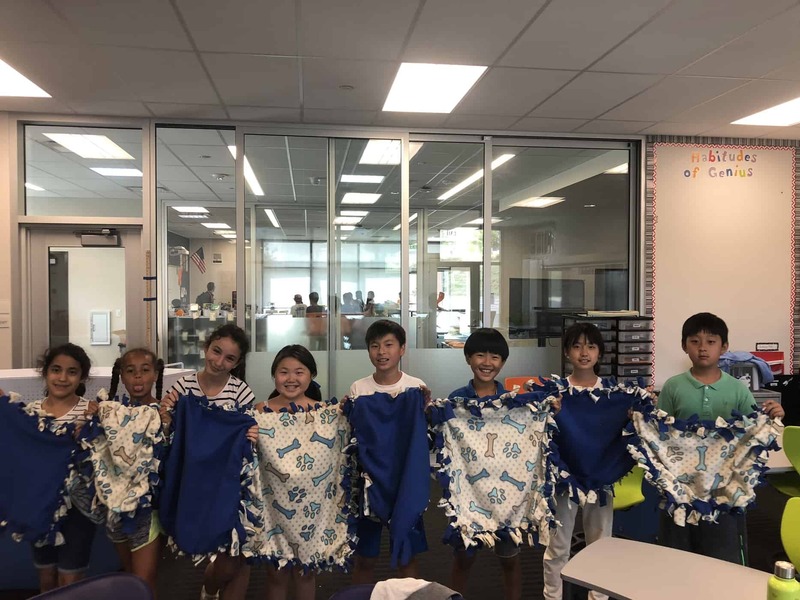 The students were so moved by this experience that they wrote letters and made origami, which they included in the snack bags they packed for local children. Their final project was a Summer Sweet Sale to raise money for CHOC. The students baked all of the cookies, brownies and cupcakes together as a class with Ms. Belzer’s guidance. They created posters and hung them around campus and made announcements to all of the summer classes. The Summer Sweet sale took place on the last day of the session and raised $285! We hope the students have gained a new perspective on their world, and will continue to serve their own communities and inspire others to give back as well!